Here’s a tutorial on how to sideload and install Kodi on iOS 10 iPhone or iPad without the need for jailbreak. Yup, no jailbreak is required for this to work. Apple managed to introduce a lot of smiling happy faces on non-developers out there when it introduced the ability to sideload apps onto iOS devices through Xcode. Granted, it’s not the most user-friendly of solutions, but it is still relatively straightforward and allows for excellent apps like Kodi to be installed onto a device without a jailbreak being required. 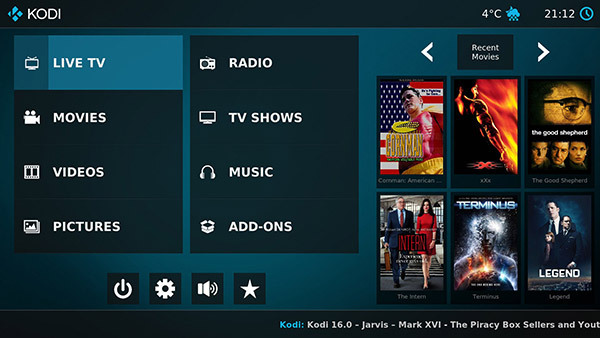 If that wasn’t easy enough, one developer has managed to make installation of Kodi on a stock iOS device an even simpler task. 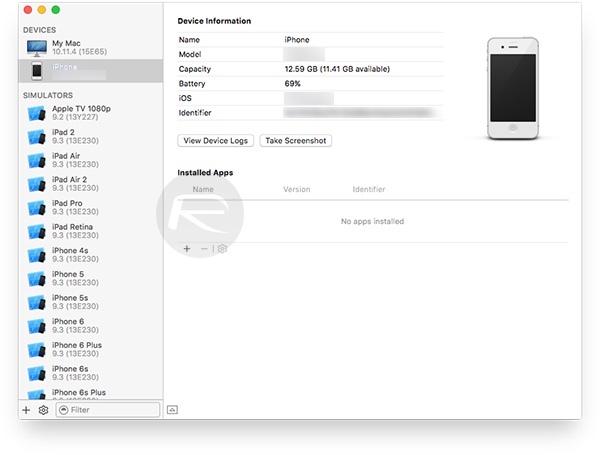 Called iOS App Signer utility, this tool has been around for a while and is responsible for making the process of installing the aforementioned Kodi app a walk in the park. For those unaware, Kodi was originally known as XBMC and has its fair share of fan following as a multi-platform media center. So strap yourself in as we walk you through the process of getting Kodi up and running on your iPhone, iPad or iPod touch device without needing jailbreak in this step-by-step guide below. A computer running OS X or macOS. An active Apple Developer account. Free developer account will do the job but will require re-sideloading every seven days. Sideloaded apps with full Apple Developer Program membership lasts one year. To create free developer account, head to appleid.apple.com. For full Apple Developer Program membership, head to developer.apple.com. Step 1: First and foremost, launch Xcode on your Mac. 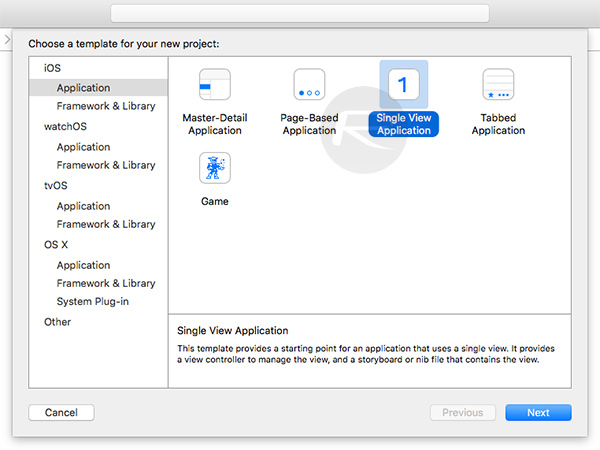 From the main Xcode screen select the Create a new Xcode project option. When the main Xcode interface appears, make sure the Application option is highlighted under iOS on the left-hand panel. Select Single View Application from the main interface and select Next. Note: Make sure that the iOS device you want to sideload the app is plugged into the Mac via USB and that the device itself is selected in the top navigation as the destination device in Xcode. 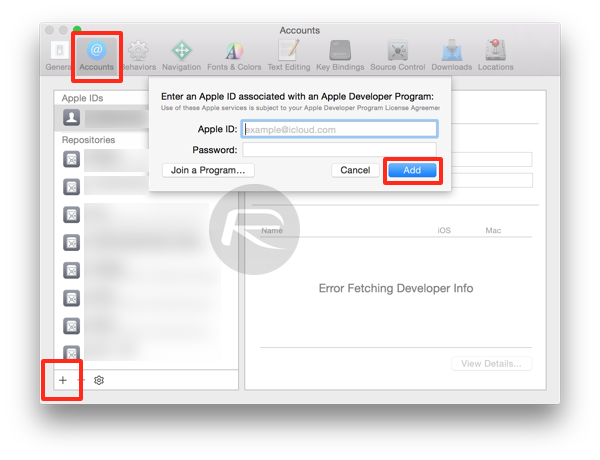 Step 5: In order to automatically fix the code signing issue, Xcode requires a signed in account. If prompted when clicking the Fix Issue button in Step 4 above, click the Add button and sign in with your Apple ID and password. Once again, if prompted, select your Apple ID from the drop-down box and click the Choose button. Step 6: Now, launch the iOS App Signer application that you downloaded earlier. In the app, click the Browse button located next to Input file to locate and select the deb file of the Kodi build you downloaded. Step 7: Once the deb file is selected, select the Signing Certificate and Provisioning Profile from the relevant lists. Step 8: Hit the Start button from the iOS App Signer app once the above information has been selected and highlighted. Step 9: When prompted, select a name and a destination for the output file. iOS App Signer will then do its magic and package together a Kodi IPA. 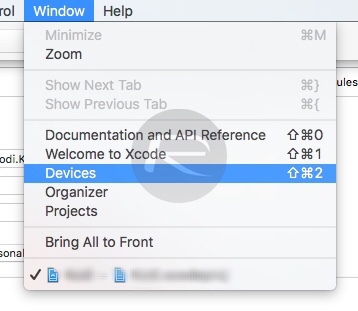 Step 10: Go back into Xcode and click the Window menu from top Xcode menu bar, and then Devices. Step 11: Select your connected device from the Devices panel on the left, and then click the “+” button. Step 12: Locate and select the IPA file that was compiled and saved to your chosen destination by iOS App Signer. Xcode will now show as busy for a period of time while installing/sideloading the Kodi IPA to the connected device. If all is up and correct with the provisioning profiles and signing certificates then everything should progress perfectly. 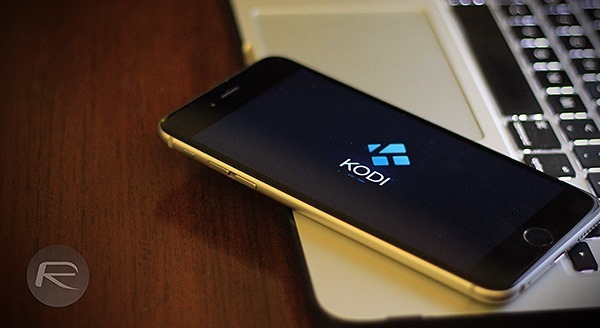 You can now enjoy Kodi on your iPhone or iPad without needing to jailbreak it. Alternatively, Cydia Impactor for Windows or Mac can also be used to sideload Kodi onto iOS devices. To do it via Cydia Impactor, download Kodi IPA file from here, and then follow the instructions here to sideload onto your non-jailbroken iOS device: Sideload iOS Apps On Windows, Mac With Cydia Impactor Without Jailbreak, Here’s How. how do add .zip addons? Any workaround to the app crashing? Mines worked for months but not any more! Select trust. After that, the app will run. I’m getting the same response. It states, initially, that the iPad is busy and then the could not be verified error. I got it to work. I changed the Provisioning Profile to show the com. [NAME}.kodi that was created in the XCODE and it worked. Afterwards, I tried to run Kodi, got an error regarding trusting an App from an unknown developer, went into my iPad’s settings to General – Device Management and tell it to trust the [NAME] that appears there. Went back and Kodi started without a problem. See my reply to Scott Maynard if you are still having problems with this. Can anybody tell me how to get Xcode to see my iPad? Every time I backup my iPhone with iTunes the Kodi app doesn’t work. It crashes everytime I open it. I have do the instructions over to get it to work. Anyone know a solution to backing up my iphone without kodi crashing afterwards? do we have to get a paid developer account so we don’t keep having to hookup to xcode every week to renew the certs? Annoying. How come this isn’t the case on my apple tv 4 I have never had to renew its just been working great? Avoid Xcode completely and just use Cydia Impactor. Convert the Kodi .deb to an .ipa, drag and drop. Done. yup. that is possible as well, as mentioned in the last para. Why go through all this when Cydia Impactor can do exactly the same thing with only 2 steps and 2 minutes. Yup…it’s called summing it up. Why put the easiest possible way at the bottom of the article? I’m getting the error “App Installation Failed – A valid provisioning profile for this executable was not found”. Any ideas how I fix this? Does this work for 7 days only? Do I need a developer account for it to work 1 year? Any luck on XCode ver.8? So just wen’t through all of the steps and no errors until the end…”Application Could Not Be Verified…not really sure what’s wrong here. This happened to me too first time I did it and had to google, The fix is to properly linking Xcode project to your apple id. First in signing on first tab and then in build settings. Then do a full build and deploy to your device. Then go on ipad/iphone go to settings search for your app and approving your provisioned id. Apple really made this a giant mess of this entitlements. Yes Apple changed this recently from 3 months to every 7 days on Free account. Only way around this nightmare of weekly redeploys is to pay Apple 99 dollars. This is total racket for a device you own you have to pay them again! to deploy code you wrote. For $99 I can get Amazon Fire TV and have Kodi installed for life. That’s why we must have JB fit Apple TV. Does Kodi expire after 7 days also if you use Cydia? works for me using Xcode on iOS 10.2.1.
mine failed maybe should update to 10.3??? I kept getting “A valid provisioning profile for this executable was not found” error. I forgot that you had to add device to profile (I have a developer account). Step that was missing for me: In XCode, go to “Product->Destination” and select your device. In Signing section, if device not already part of your profile, an error will display. Click link to add to your profile and continue from Step 6.